Two is always better than one, and this light fitting proves that. Double up the brightness in any room with these tiltable spotlights surrounded by a professional white border and finished with brushed aluminium. These pair of ceiling spotlights are a feature of most modern homes. The reasons for this is simple: energy efficient, adjustable, stylish and easy to install. The GU10 studio lights are ideal for any room and the adjustable settings mean it can act like a spotlight and highlight whatever feature you want. 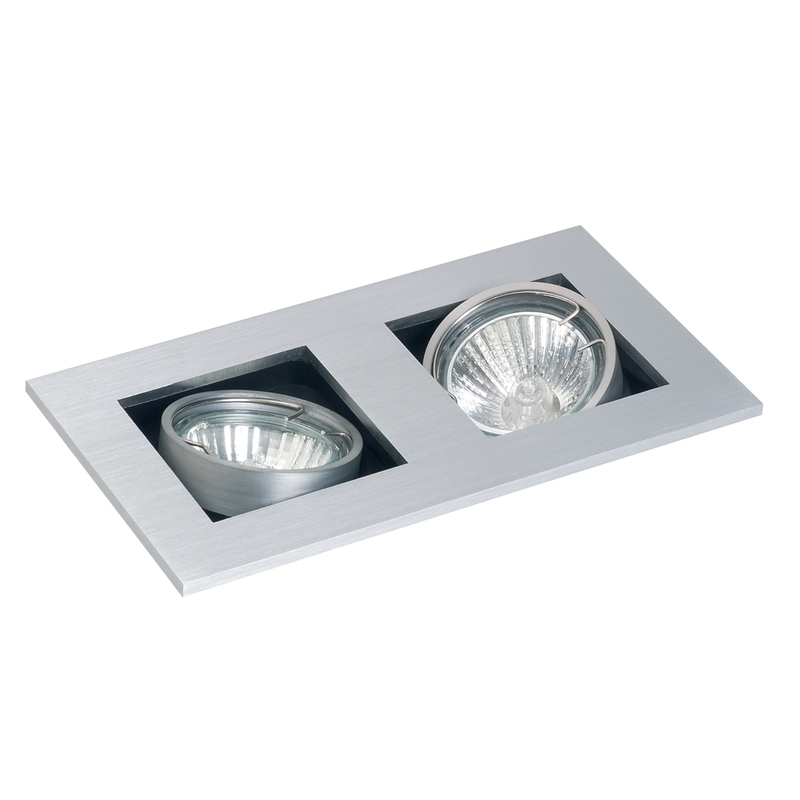 A simple but effective contemporary design, the double spotlights will last 30,000 hours each and use considerably less energy than regular lighting.